Germany, France and Spain said Saturday they will recognize Venezuela's opposition leader Juan Guaido as interim president unless a plan for fresh elections is announced within eight days, German News Agency DPA reported. Berlin, 26 January 2019 (MIA) – Germany, France and Spain said Saturday they will recognize Venezuela’s opposition leader Juan Guaido as interim president unless a plan for fresh elections is announced within eight days, German News Agency DPA reported. The current president, Nicolas Maduro, has refused to step down after disputed elections last year, despite building pressure from the opposition in Venezuela and internationally. 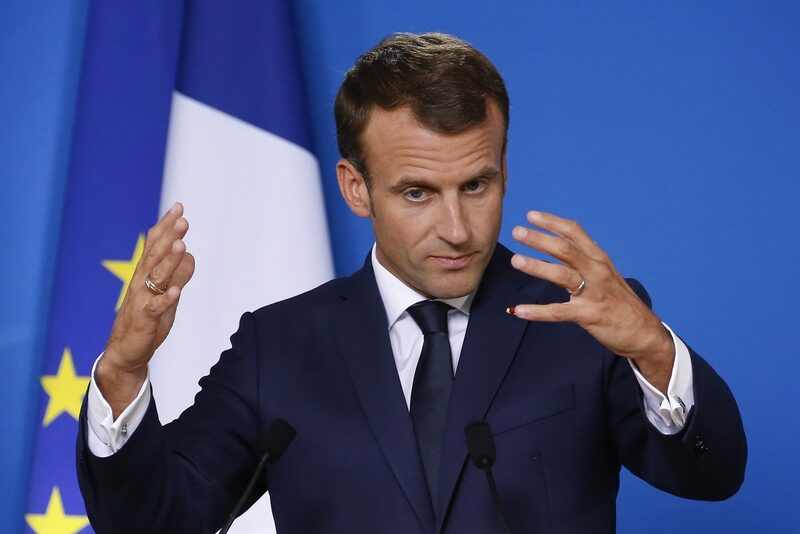 “The Venezuelan people must be able to freely decide their own future,” the French president wrote on Twitter, echoing similar statements from German and Spanish governments. “Unless elections are announced in the next eight days, we are ready to recognize Juan Guaido as interim president,” German government spokeswoman Martina Fietz said. “We are not seeking to install or remove governments, we want democracy and free elections in Venezuela,” Spanish Prime Minister Pedro Sanchez said. The US and more than half a dozen Latin American nations and Albania have already thrown their support behind the opposition. EU officials have stopped short of recognizing Guaido as interim president, instead calling for democratic elections. The dispute among world powers is set to come to a head later at a UN Security Council meeting in New York. US Secretary of State Mike Pompeo and Venezuela’s Foreign Minister Jorge Arreaza both plan to attend the emergency session, called by the United States. Maduro has broken off diplomatic relations with Washington and ordered US diplomatic staff to leave by Sunday. Pompeo said on Friday he would urge other countries to support Juan Guaido, who declared himself Venezuela’s interim president on Wednesday. Hundreds of thousands of Venezuelans have taken to the streets this week to demand Maduro’s resignation. He won a second term in May elections widely seen as undemocratic and was sworn in on January 10 amid mounting international pressure on him to step down. The army has so far sided with the president, though minor attempts at mutinies have indicated that there are divisions within the security forces. Guaido, who has described the situation in Venezuela as a “humanitarian emergency,” asked the army to allow the entry of humanitarian aid he has requested and the United States has agreed to provide. The self-declared interim president says has a “three-point” transition plan to put an end to Maduro’s rule. “End of the usurping government, creation of an interim government, and calling for new elections,” the 35-year-old said in an interview with the La Stampa paper published on Saturday. Guaido called on the army to switch sides, dumping Maduro, and said even military officers involved in acts of repression would be granted an amnesty. On Saturday, the opposition will hold town hall meetings up and down the country to explain their moves, and on Sunday “small groups” will visit army barracks to discuss options for an amnesty for Maduro, Guaido said. Despite possessing the largest oil reserves in the world, Venezuela has been in economic and political crisis for years. The inflation rate is the highest in the world and more than 3 million people have fled the country due to food shortages and political unrest.